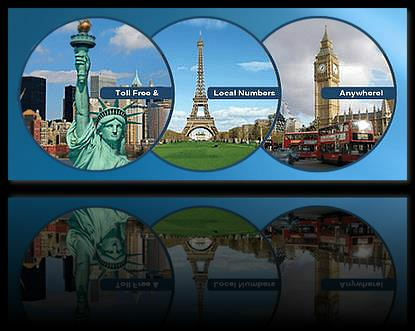 Rather than annoying your international customers by being unreachable or making them dial a potentially costly long distance international phone number, a better choice is to issue a country-specific global toll free phone number and the set it up to ring to your office phone in your home country. This way, your customers can easily reach you without a second thought. In a world where much is accomplished via the Internet, a live voice over the phone still is the best way to create new local and international business opportunities. Are You Factoring The Customer Service Impact On Your Business Results? Customers expect to receive support Quickly. Customer churn is attributed to the poor quality of customer service. Global Call Forwarding Services benefit a diverse group of users. Why the phone is still king? 30% of U.S. population (age 50+) have the lowest recall rate for urls. Area codes were initially assigned based on call volume. A virtual number is a telephone number that does not have its own fixed telephone line. Also known as DID NUMBER and ACCESS NUMBER. can easily access calls from a range of devices! In 10TH MARCH 1876 Alexander Graham bell, widely considered the father of the telephone, makes the first telephone call, uttering the words to his assistant. 60% of websites have no toll free or local business phone number listed on the homepage.